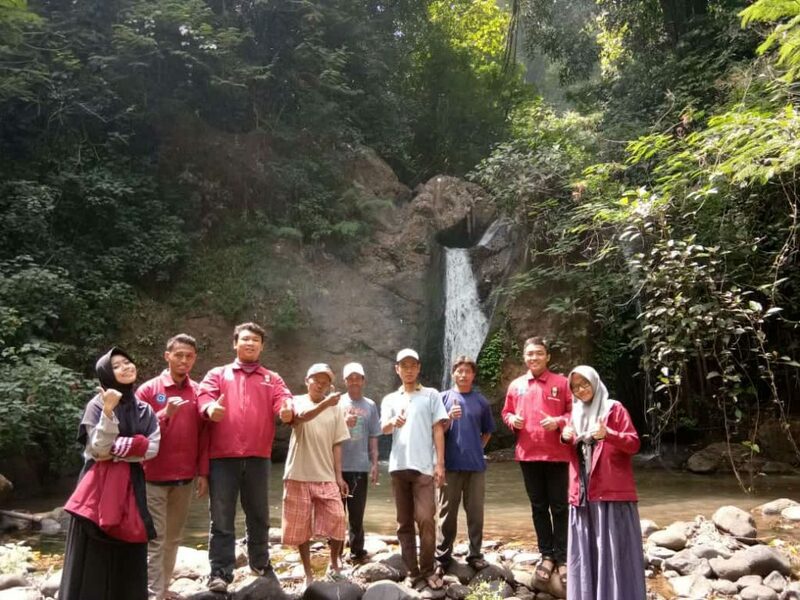 Unimus students have shown their important contribution towards the application of the Four Obligations of Higher Education Institutions (Catur Dharma Perguruan Tinggi) through the Village Development Program (Program Hibah Bina Desa/PHBD) on July 28-29, 2018. Held by the Ministry of Research, Technology, and Higher Education, the program is to give students to actively develop villages. 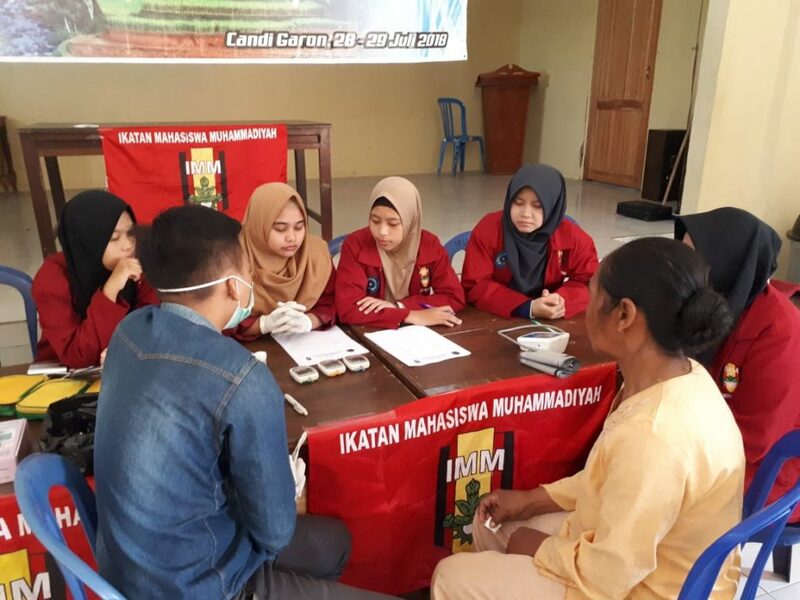 This kind of contribution has been given by the Commissariat Coordinator (Korkom) of Muhammadiyah College Student Association (IMM) of Universitas Muhammadiyah Semarang, taking place in Candigaron Village, Sumowono Sub-district, Semarang Regency. 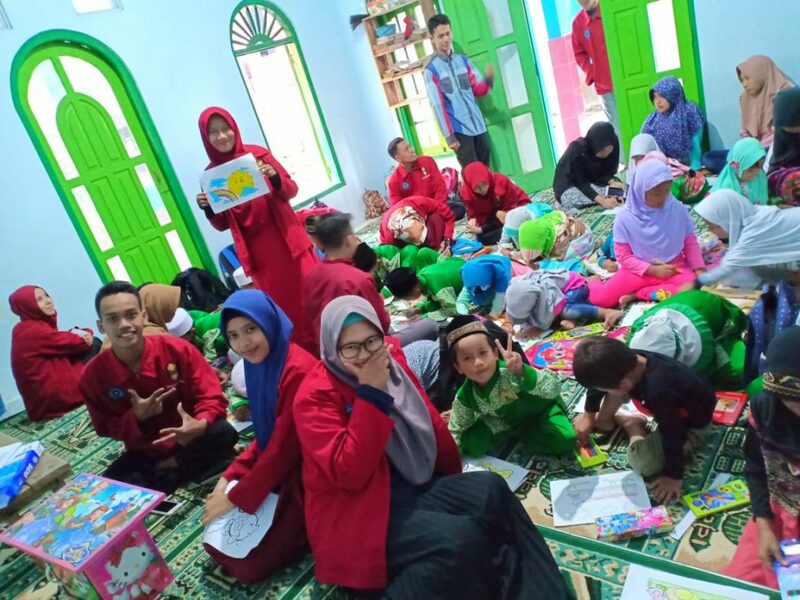 Muhammad Dinar Ramadhan, the Korkom head, stated that in the community service, there were two teams conducting community services. They were community service and PHBD team of Unimus’ IMM). The activities were divided into two. They were coloring and calligraphic competitions, aiming at teaching calligraphic writing. The other activity was free medical check-up for the community, aiming at examining the health condition of the local people and helping curing those with some sickness. 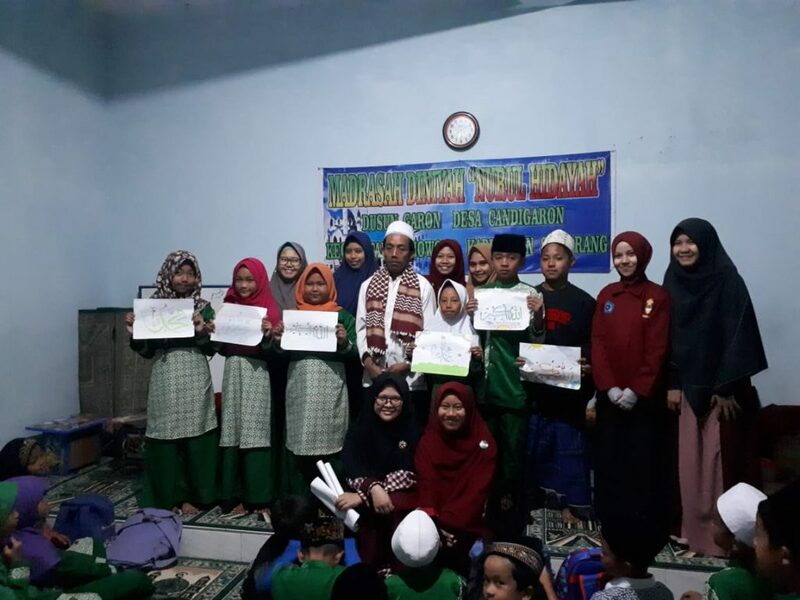 Caligraphic Competition for students at Madrasah Diniyah “Nurul Hidayah”. Meanwhile, the PHBD team, who will do the service for the next 6 months, has done some survey on the origins of the local tourist objects, i.e. waterfall and cave in Candigaron Village. The waterfall is named Kuwung Waterfall, located in Semanding Hamlet. In spite of the difficult access to get to the site, but the tourist object is potential to be developed as a typical tourist object of Candigaron Village. Following the service, IMM of UNIMUS is determined to develop Candigaron Village to become better based on the program that has been made in the 2018 PHBD.